Mumbai, Aug 25 (IANS) She is a successful producer, entrepreneur, interior designer, mother of three children and wife of Bollywood superstar Shah Rukh Khan. Gauri Khan says filmmaker Sanjay Leela Bhansali, impressed by her work, has urged her to design film sets and turn art director. Gauri took to Twitter on Friday to share a photograph with Shah Rukh and Bhansali from her design store. “Thank you for visiting the GKD store, Sanjay. Your idea of me getting into set designing/art direction has got me thinking,” Gauri wrote alongside the image. In another image, the three celebrities can be seen posing for the camera. “Thank you Sanjay for appreciating Gauri Khan Designs… Coming from you is a real compliment,” Gauri wrote alongside the image. 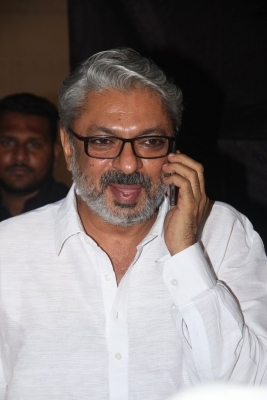 Bhansali directed Shah Rukh in 2002 film “Devdas”.